Aloha! The Broncos game just started and since it's still morning here in Hawaii, I'm watching, coffee-ing and blogging all at the same time. My Facebook newsfeed is full of United in Orange and Time to Ride. 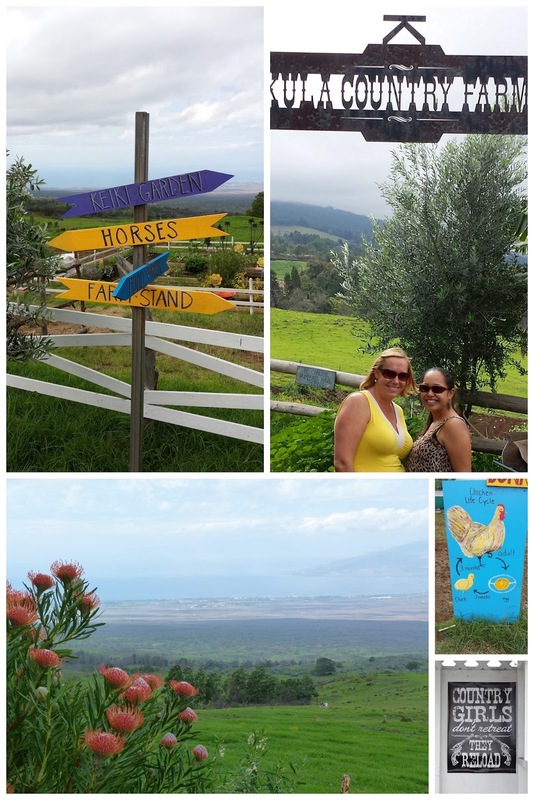 On our touristic adventure upcountry last week we went to Kula Country Farms after our visit to Surfing Goat Dairy. Kula Country Farms is where everyone goes to pick their pumpkins in the fall. And at the end of February, their strawberry patch will be open. I'm pretty sure that a return visit will be in order....quickly followed by shortcake or pie. The farm has a cute keiki (children's) garden as well as a farmstand. Great prices on fresh herbs and lots of locally made sauces, jellies and marinades. Proof that yet again....I love a good farm.